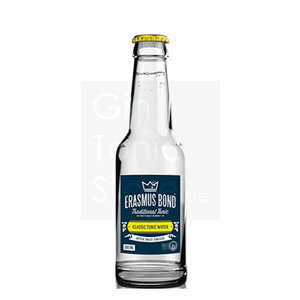 Erasmus Bond Classic Tonic is the perfect companion for the traditional London Dry gins and the more delicate gins available. Nose: Slight hint of citrus, vitamin C powder, quinine in the background. Mouth: Liquorice, quinine, lemon peel and cassia bark. Aftertaste: Lingering but subtle bitterness with again a hint of lemon peel.